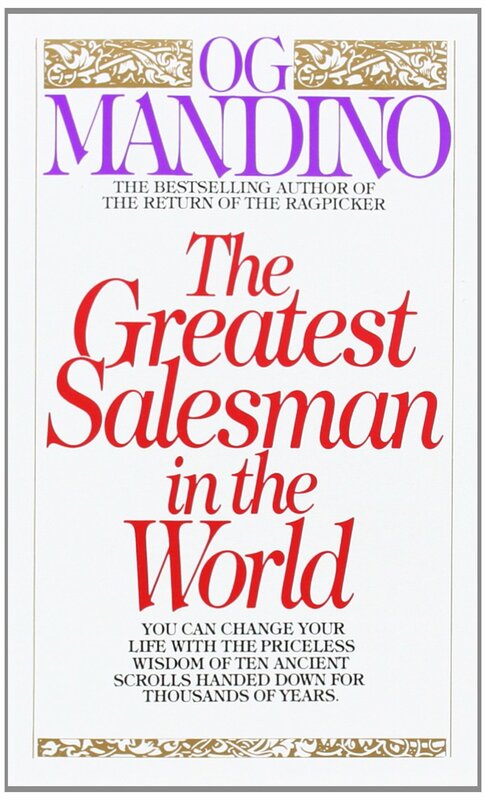 Og Mandigo developped a philosophy of salesmanship and success distilled in 10 "scrolls", which he recommends to read over a 10 month period. Each scroll ambitions to replace a deep-rooted bad habit build up over a lifetime with a new, positive one that will help the reader get a greater control of his life and find success. Scroll I - Today I begin a new life. Scroll II - I will greet this day with love in my heart. Scroll III - I will persist until I succeed. Scroll IV - I am nature's greatest miracle. Scroll V - I will live this day as if it is my last. Scroll VI - Today I will be master of my emotions. Scroll VII - I will laugh at the world (Keep perspective) Scroll VIII - Today I will multiply my value a hundredfold. Scroll IX - I will act now, I will act now, I will act now. Scroll X - I will pray for guidance. Og Mandigo is the most widely known inspirational and self-help author in the world today. This bestseller and 17 other books of wisdom and love have sold more than 36 million copies in 22 different languages.